I know I’ve been quiet again lately which wasn’t the plan but it was unavoidable but for far less dramatic reasons than the last time. That’s not to say I have much to talk about. So instead I’m just going to share the Halo 5: Guardians campaign footage that’s found its way on to YouTube. I cannot wait for this game. And I may have got a little over excited about the return of a certain ODST. Whilst I’m not terribly knowledgeable about Deadpool as a comic book character, I know he’s a complete mentalist. So this test footage for the film seems to fairly accurately hit the mark. Warning it’s very sweary. Not that should bother you if you’re a regular visitor of this site but as trailers usually aren’t I thought it better to say. The Hobbit, for me, has been a distinctly average affair. Stretched over three films when at the absolute most it should have been two even with all the source material and non-Hobbit events crammed in there. The first film was okay but let down by moments of stupidity on the part of Peter Jackson. Just some scenes offered nothing and should have been cut. It was too long, too laboured and often too cheap. The second film was better but sadly nearly as forgettable with it being yet another overly long road trip movie. Evangeline Lilly all done up like an Elf was the probably my favourite bit, but that’s just me… The films erred too much on the light hearted side of butchery to make it more accessible to children but actually just comes off as naive and inappropriate. The trailer for The Battle of Five Armies has come out and finally looks like a Lord of the Rings film. It looks gritty, grungy and the capery of slitting a Godlin King’s throat is long gone. This one should be good. When I first heard about Firefly online I felt very mixed. Whilst I was pleased that Firefly was getting a new lease of life, I was concerned about how good the game would be and how good it would look. Projects inspired by cancelled shows tend not to have big budgets. Or often get completed. This teaser hit the interwebs and I have to say, overall, it looks pretty good. It seems to have lots of different elements crammed in there which is no bad thing. The Sims-esque shipbuilding, RPG exploration, turn based combat and some funky flying about in ships. It’s offering fans an awful lot. Graphically it’s fine. Not amazing but pretty enough. But as the finished product isn’t out yet we may yet see some improvements. The San Diego Comic Con is in full swing and as always there’s a deluge of coolness flooding the room. One year I’ll have the money and the wherewithal to go. As usual the guys at 343 Industries don’t disappoint. Aside from all the awesomeness of Halo 5: Guardians & Halo: The Master Chief Collection there’s also a Ridley Scott produced series in production called Halo: Nightfall. Taking place between the events of Halo 4 and Halo 5: Guardians, Halo: Nightfall follows the origin story of legendary manhunter Jameson Locke (Mike Colter) and his team as they are caught in a horrific terrorist attack while investigating terrorist activity on the distant colony world of Sedra. Led by Locke, the Office of Naval Intelligence (ONI) agents are forced to coordinate with a Sedran commander with a remarkable history and deep-rooted mistrust of ONI. As the plot unravels, they’re drawn to an ancient, hellish artifact where they’re forced to fight for their survival, question everything, and ultimately choose between their loyalties and their lives. Agent Locke is a new character in the Halo universe poised to play a major role inHalo 5: Guardians releasing on Xbox One in 2015. 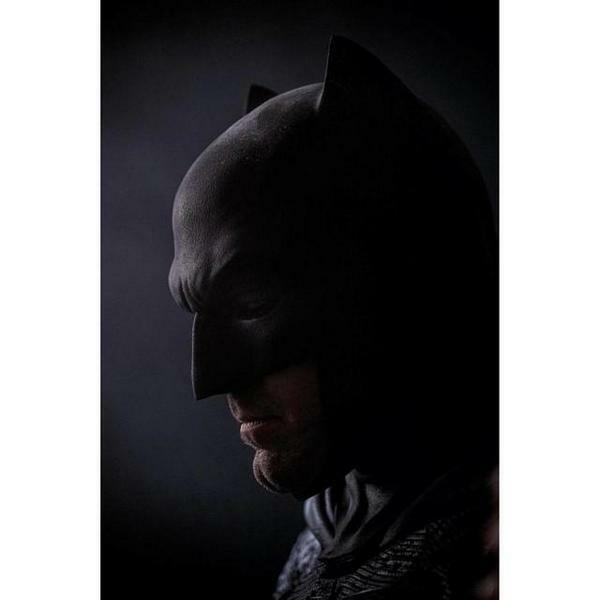 And just coz, here’s a still of Ben Affleck as Batman. I’m sorry but he’s the most Batman looking Batman ever.